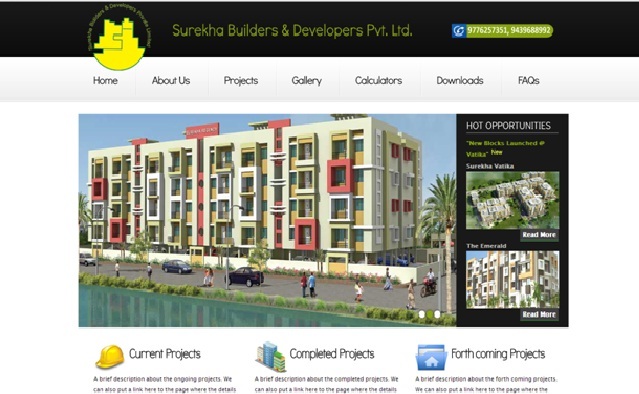 Surekha Builders & Developers Pvt Ltd is An ISO 9001:2008 Certified Construction Company located in Bhubaneswar, Odisha. This company provides quality housing Projects in various areas of cities with minimal prices. This project is located at the city Bhubaneswar. This project is a distance of 5 km from Rasulgarh Chhak, 10 km from Bijupatanaik Airport, 8 km from Bhubaneswar Railway Station, 9 kms from Delhi Public School, 10 km from Baramunda Govt Bus Stand, and 3 km from Hi Tech Hospital.